Strength and conditioning is more than just lifting weights. It encompasses the holistic development of athletes with its primary objective being injury prevention and improved physical performance. 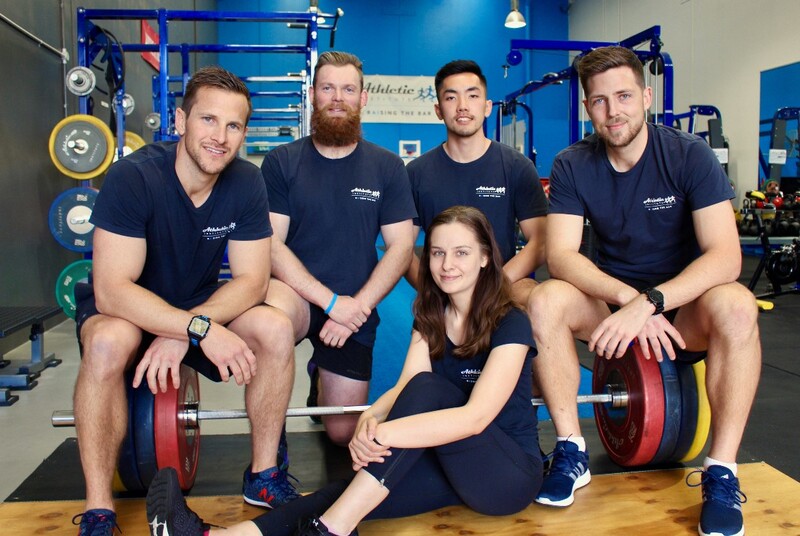 Our facility in particular not only focuses on elite adult athletes, but we also specialise in juniors with our Youth Athletic Development Program. “Lifting weights is bad for kids.” Okay, well first of all – Myth. Busted. 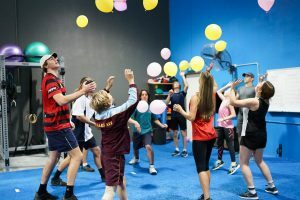 The Australian Strength and Conditioning Association has made it clear that this type of training for children is both safe and effective with evidence being further supported by the Australian Sports Commission. In fact, according to Hamill et al. (1994) the rate of injuries for school sport such as soccer saw 6.2 injuries per 100 hours as opposed to weight training with 0.0035 injuries per 100 hours of participation. 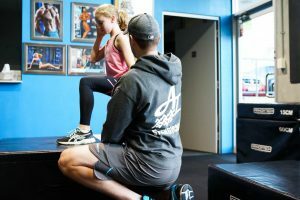 Athletic Institute’s approach to strength and conditioning for youth athletes is just as multifaceted as our adult programs, what varies however, is the emphasis towards developing good quality physical literacy depending on their developmental age not just chronological age. We coach youth athletes from the ages of 10 – 19 years-old in a group based setting with individual programming. This means that every athlete in the class has their own personalised program, even though they train altogether. These group based settings have greater benefits in promoting positive mental and psychosocial development through interaction with other young athletes. 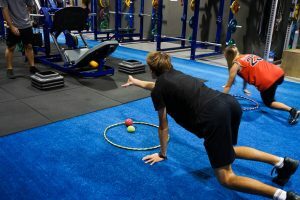 Our program implements a range of assessment strategies, screening tools, injury prevention, strength training and movement facilitation to help junior athletes succeed and excel in their chosen sport. We also include 5-10 minutes of physical play into our youth athletic development classes, which is an essential component to the cognitive, physical, social, and emotional well-being of youth athletes as they develop. The overarching goal of play is allowing global movement in free-flowing form and creating opportunities for communication and team work to occur naturally. Training schedule is interdependent on each child and their external commitments. For new athletes, we recommend 1-2 session per week, but we do offer up to three sessions per week for this program.